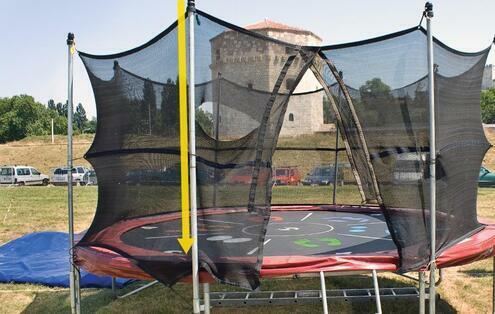 Trampolines that are built to last. Engineered for Safety, built to last. Backed by a 10 year warranty on the entire trampoline. 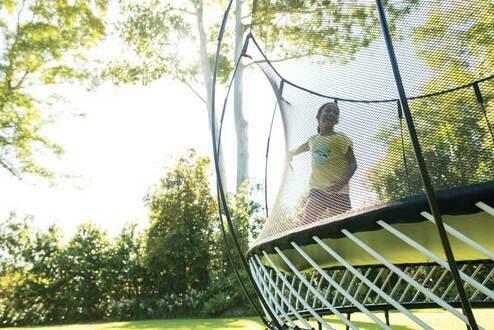 From net to frame to mat – we've got your Springfree Trampoline covered. "I wanted a trampoline for my daughter. My wife said they were too dangerous. So I invented my own." 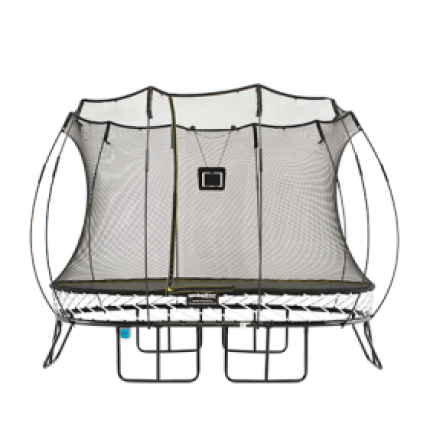 Get to know our six models and three unique shaped trampolines; round, oval and square. 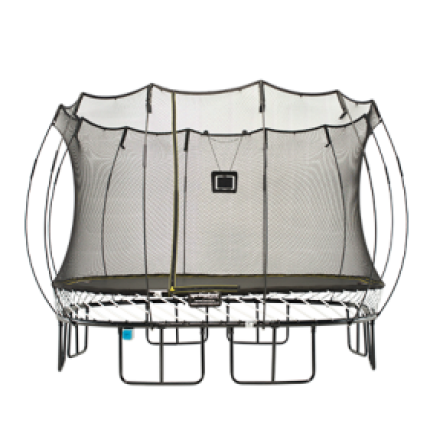 Our patented Trampoline design eliminates the impact areas that cause 90 per cent of all trampoline related injuries. 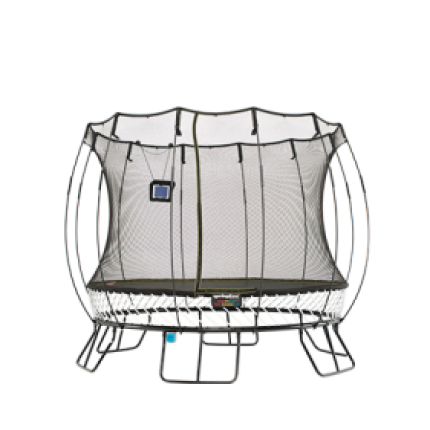 Springfree Trampoline uses flexible composite rods that lie beneath the trampoline jumping surface and out of harm’s way. 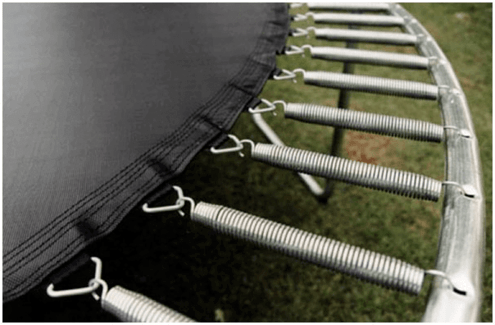 Spring-based trampolines have springs that will pinch or injure or trap a jumper. 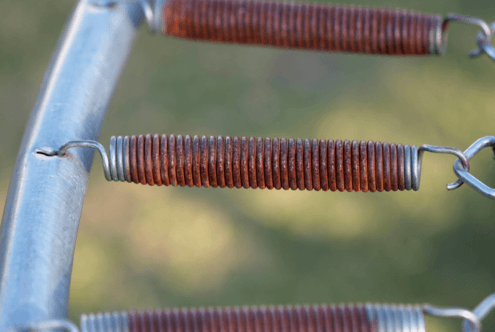 Also unlike the Springfree Trampoline composite rods, the springs are prone to rusting. Springfree Trampoline’s SoftEdge mat is 30 times more shock-absorbent than pads on traditional spring based trampolines. This results in a much safer jumping experience for your family. 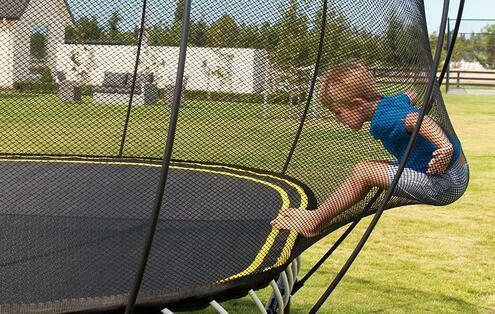 The pads on spring-based trampolines do not protect from injury. 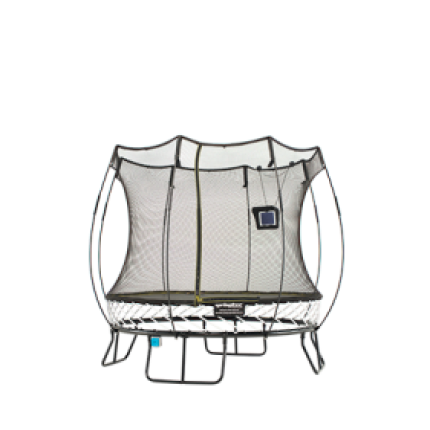 They lose much of their shock-absorbency after the first impact and have the shortest lifespan of any part on the trampoline. 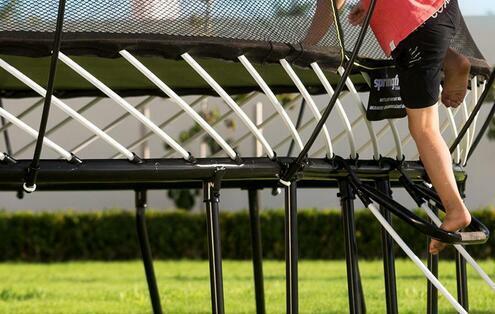 Springfree Trampoline’s frame is well beneath the jumping surface - you can’t hit it. This makes for a safer jump! 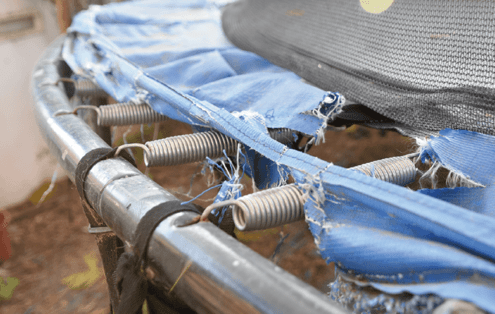 The frame on a spring-based trampoline is a hazard to jumpers. Hitting the trampoline frame is one of the major reasons for significant trampolining injuries such as fractures, cuts and head injuries. 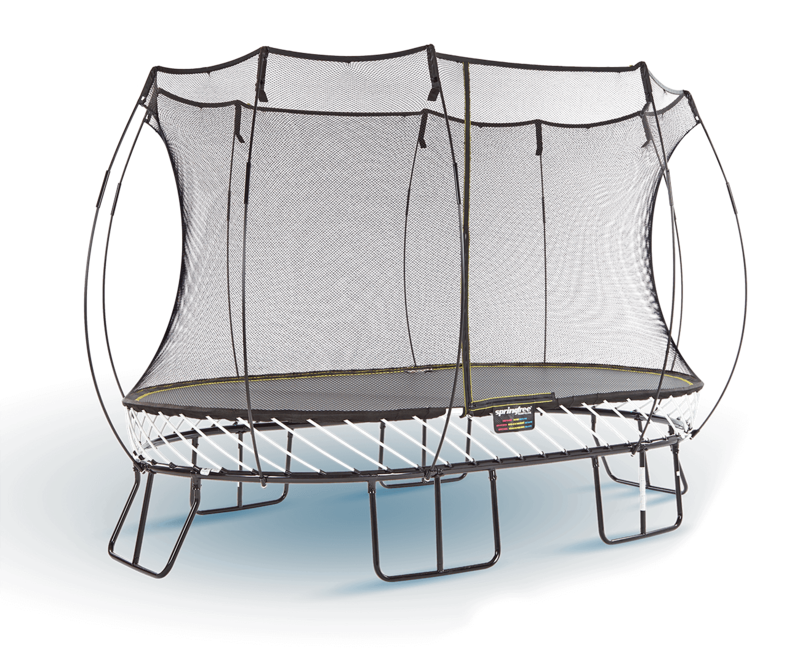 Springfree Trampoline’s FlexiNet enclosure uses flexible net rods to cushion jumpers and prevent falls. The trampline net is so strong that it can withstand an average adults weight. 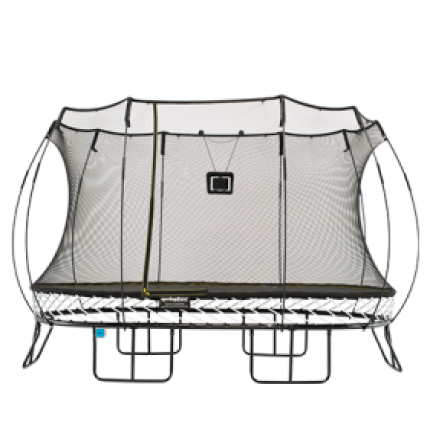 Spring-based trampoline enclosures use steel poles to fasten the net to the trampoline, allowing jumpers to collide with a solid pole and be dropped down onto the trampoline frame and springs. 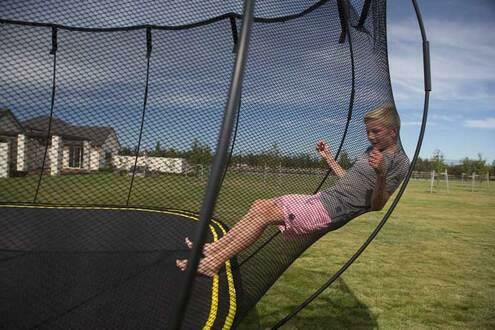 Also the trampoline net material is often not as durable as the Springfree Trampoline net. 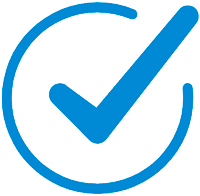 Our nets are covered under the industry leading 10 year warranty; we are that confident in our trampoline net quality.